A popular Chinese social media site is censoring discussion of Last Week Tonight and its HBO host John Oliver after he mocked Chinese President Xi Jinping, his apparent sensitivity about being compared to Winnie the Pooh and his country's crackdown on human rights. 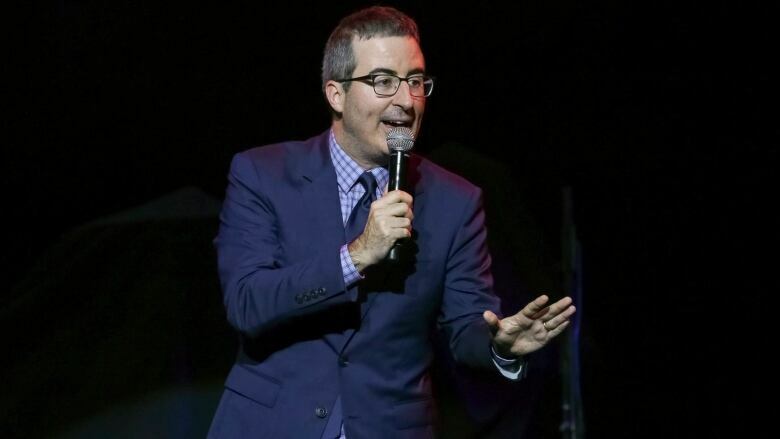 Attempts to send posts with either the terms "John Oliver" or "Last Week Tonight" on the Twitter-like microblogging service Sina Weibo on Friday were met with failure messages saying "the content contains information that violates relevant laws and regulations." The Chinese translation of his name does not appear to have been censored. In a 20-minute segment aired on HBO last Sunday, Oliver made satirical references to Xi and the way that Chinese internet users often joke that he resembles Winnie the Pooh. The show also referred to China's internment of hundreds of thousands of members of the Muslim Uighur minority groups in political indoctrination camps . Oliver's show included a parody of a propaganda music video made to promote the initiative in which children sing about China being an autocracy that abuses its citizens' human rights. "This is the China Xi doesn't want you to see," they sing in chorus. Last year, Weibo removed a Chinese-language fanpage of John Oliver's show after the satirist interviewed Tibet's exiled spiritual leader, the Dalai Lama, according to a previous moderator of the fanpage. The fanpage had a following of around 3,000 users at the time, said the moderator, who declined to be identified. "John Oliver must have seen this coming, but I don't think it really matters. China does not generate any revenue for HBO," said a fan who used to help translate content for the show into Chinese. He, too, sought anonymity. The censoring of social media posts was the latest sign of the country's increasing sensitivity over political content and satire. China maintains some of the world's toughest restrictions on content online as well as on foreign news and entertainment broadcasters such as HBO.